Although participants will not have to worry about toga-clad Brutus and Cassius sneaking up on them at work, they will have a reason to convene this Thursday, The Ides of March. 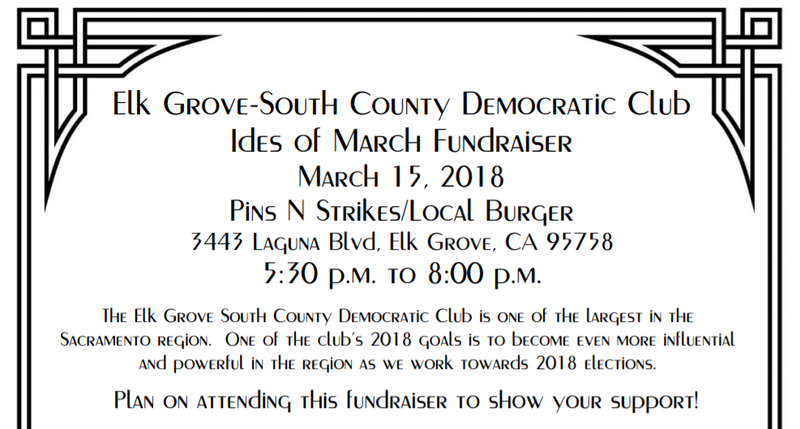 The South County-Elk Grove Democratic Club will hold a fundraising event on Thursday, March 15. 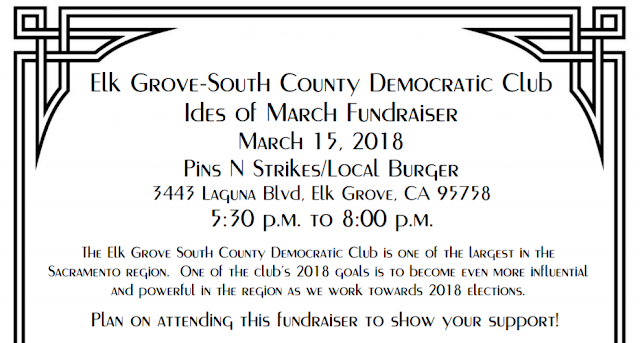 The fundraiser will be held at Pin N Strikes Bowling center on Laguna Boulevard in Elk Grove. The event will be held between 5:30 and 8 p.m. Along with bowling and appetizers, a silent auction will be conducted. As one of the largest Democratic clubs in the region, the group hopes to support candidates and promote party ideals especially in the 2018 midterm elections. To RSVP for the event or for more information, email Kendra Lewis at EGDemevents@gmail.com. Sponsorship opportunities are available.